I never tire of looking at pictures of baby angels. Baby angel pictures fill me with love and joy. And they never fail to put a smile on my face. I’m sure you will find a piece of heaven among these sweet baby angels. Millions of angels are at God's command and at our service... So don't be afraid. God is for you. He has committed his angels to wage war in the conflict of the ages--and they will win the victory. 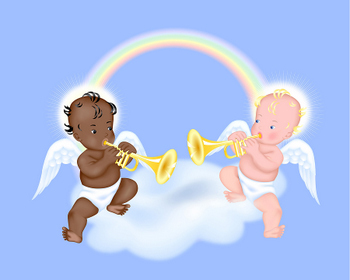 Did you find a favorite baby angel picture? I like them all. 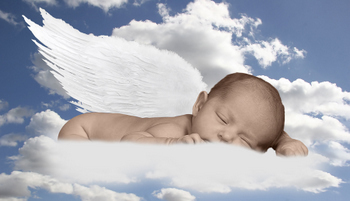 If you would like to see more pictures of baby angels, you may like to visit the following pages. 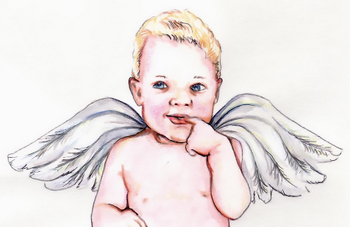 Child angels - Pictures depicting angels as children.